So clearly this week had a very specific theme that was completely unintentional (seriously - I had no idea it'd work out this way). 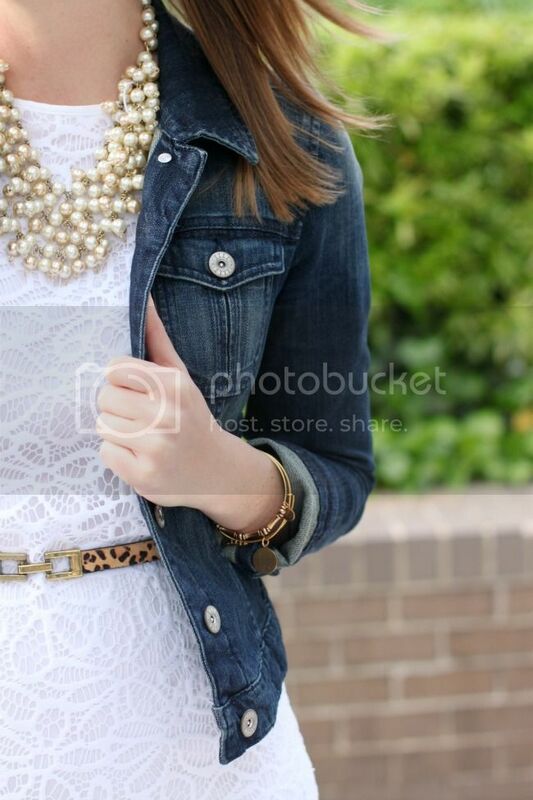 Monday's look was lace on lace topped with a denim jacket, Wednesday's Window Shopping post was all about denim jackets and today is yet another lace look with a denim jacket. I will admit, the Wednesday/Friday denim jacket theme was planned but not the Monday tie-in too! 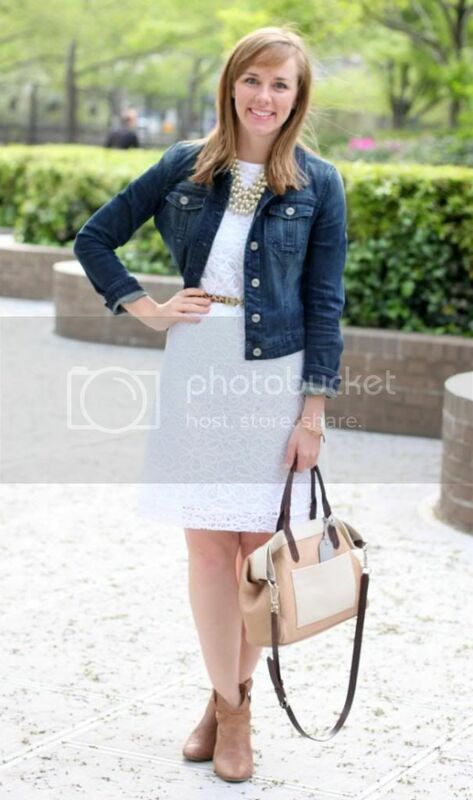 Apparently I'm on a denim and lace kick (what can I say, it's a great combination!). I hope you all have a great weekend! I'm headed to the Met with Jen and some other friends on Sunday to check out the Punk Chaos to Couture exhibit. Should be a great time! I own that same denim jacket and it is on heavy repeat right now as well! Love this look!